A cup of beans a day could keep the doctor away for diabetes patients, according to a new study. 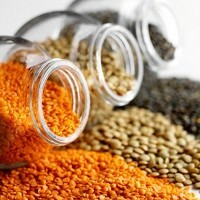 Research published in the Archives of Internal Medicine has found that eating beans or other legumes like lentils on a daily basis may help people with type 2 diabetes control their blood sugar and reduce their risk of heart attacks and stroke. Researchers found that, compared with a diet rich in whole grains, getting a daily dose of legumes led to small drops in blood sugar, blood pressure and cholesterol levels. Hemoglobin A1c levels also dropped from 7.4% to 6.9% in people eating beans, and after three months on the bean diet, study participants' estimated 10-year risk of cardiovascular disease had fallen from 10.7% to 9.6%. The news will be welcomed by travellers with diabetes who find can it difficult to control their diet whilst abroad. Dr David Jenkins of St. Michael's Hospital in Toronto, who led the work, said: "Legumes are good protein sources, and proteins tend to dampen the blood glucose response and they lower blood pressure."